I’ve been eating a lot of sugary foods lately, and my skin is showing it. There’s huge red painful bumps on my face. Ooh gurl, I need to get my diet in tact. But besides that, I’m still an oil slick, and my skin has some acne scars around my cheeks and chin. Trying to fix them, but it’s a long process. *sigh* Anyways, thank you for the giveaway, dear. This set sounds interesting. I’d love to try it! My skin really needs some help. It’s been clear for years. Then I turned 25, and it’s finicky and blemish prone. I love L’occitane, especially the lemon verbena scent! My skin needs hydration and luminosity! 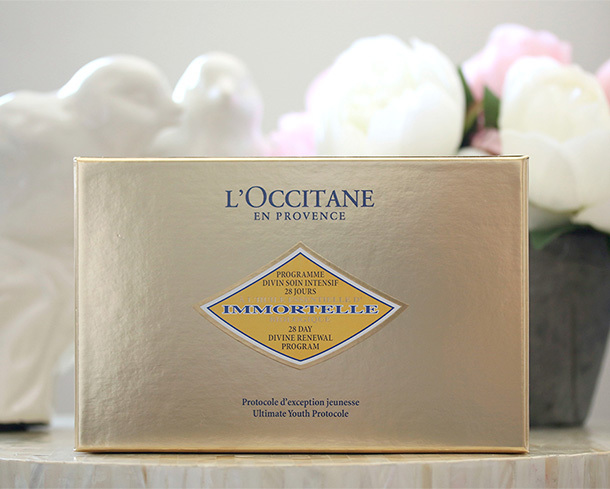 I absolutely love L’Occitane Immortelle brightening instant exfoliator b/c it makes my skin soft and bright every time! I live in Michigan and between the dry. Cold air and turning 51 I don’t know my own skin anymore. 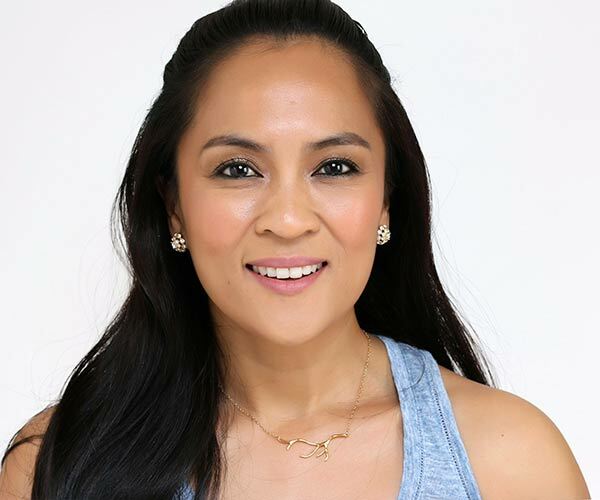 During my modeling years my skin stayed hydrated but…. Now I have to work at it! I love L’Occitane products especially the hand cream. Great for for the leather gloves. I love L’Occitane’s hand creams. I also have a Vanilla perfume from them which isn’t bad. 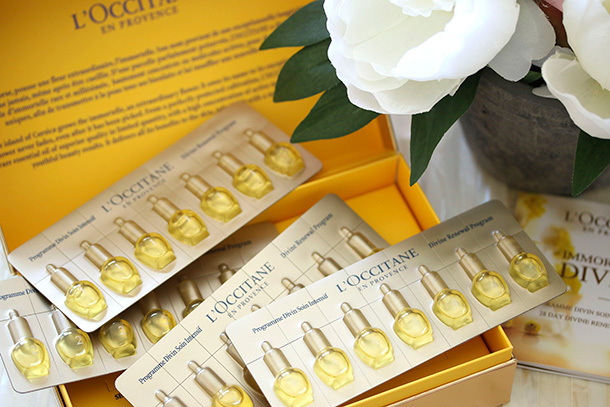 Would LOVE to try L’Occitane! Thank you for all of your work, laughs & kindness! My favorite is their hand cream. I really need to figure something better out for my skin – winter has made it SOOOOOO dry. This sounds like a good option. My skin has been so dry lately. I find that as I get older (sob!) it’s harder to manage. Oooh this will be great! Harsh winter air has not been nice to my skin! And glad to know there’s no breakouts! This sounds interesting, I’d like to try it – I wonder if it’s safe for rosacea/sensitive skin . . . Sounds nice. For that price though, I wouldn’t buy it for myself. I’m about to run out of my current moisturizer (which I think has been causing small cystic acne in random spots) so I’m totally in for trying something new. I don’t know if I’d buy it for myself, but I might buy my favorite of the oils in the set. The next kitty I get will be named Hello Kitty. No joke. Ahhhh!!! this makes a broke beauty lover like me wanna cry!!!!!!! In my dreams I get to use this kit!!! These sound like good products. Would enjoy trying these luxurious product! 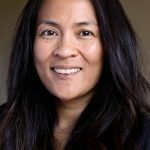 I really like Your writing and style! I would love to try that treatment, cause my skin, just like yours, has been lacking hydration and nothing seems to be helping! My skin is tired of the below zero temps and screaming for help. I’m testing this set as we speak 🙂 Good luck everyone! Oh, this could be divine! I love facial oils. I need this 2 degrees in Baltimore this morning. This. Is my favorite store! Thanks for the great giveaway! My skin has been looking so blah recently. Sounds like something I would like to try! Thanks for the giveaway! This would be good to try! My face could use some Divine Renewal and this would be wonderful! It is advertised as anti-aging, but do you think it would work against other problems such as redness, breakout patches and dry patches? My skin is very dry. This set looks nice. I like their hand creams too. I would love to check this out to see if it will assist with the texture of my skin. My skin – even though oily – has been dry as hell in DC lately so I’d love to try this! I love L’occitane handcream. It’s the best for my hands during the cold winter months. I love the l’occitane almond pis shower gel! My office is currently passing around some super not fun colds and flus (it’s worse than a daycare as far germ spreading goes!) and I am currently battling the sniffles- maybe this would do my skin some good! This looks like a great product! I like that it uses natural ingredients. My first introduction to L’Occitane was in 1997. My mother-in-law gave me a beautiful gift box with assorted products from L’Occitane. I’ve enjoyed their products ever since then. I love L’Occitane hand creams. Would love to try this as well. I’ve never tried anything from L’Occitane. Now that I’m in my 30’s my skin and hair has gone nuts so I would really love to find something that is good to my skin and I love oils. Even if I don’t win this I’m pretty tempted to try it anyway! I just had this image of you putting everyone’s name on bits of paper and throwing them in the air.. and whichever bit Tabs caught is the winner.. I really like how these are packaged; makes sense to have sensitive ingredients in single-use pods. And the range of oils over the days is smart; certainly something I’d like to try! It’s -14 degrees here in Ohio. My skin is so dry, it could really use this. This sounds perfect for these dry winter months! But do you think it’s worth the hefty price tag? Long time lurker and first time commenter 🙂 I’ve gotten a sample of the Immortelle Precious Cream, and it’s incredible. I think it’s literally transforming my skin! It does wonders for my sensitive, slightly dry (winter! argh!) acne prone skin. Do you think this is worth it, price tag and all? I’m no stranger to spending money on skincare sadly, I’d do almost anything for great skin!! This is great! Thank you so much! I check your blog/Instagram every day and these give-aways are a fabulous bonus! Wow this looks amazing! I hope I win! I’ve lost a lot of weight, yay me! But now I feel my skin is very dry and sagging, booh! I would love to try this set and see if this improves the dryness and overall appearance. Thanks for the giveaway! I’ve been on a sugar/chocolate binge (chocolate cake, peanut butter chocolate ice cream, imported Cadbury chocolate bars) and my figure and skin are now paying for my indulgence. At least I started exercising more regularly now. The detox begins right now! More green tea, more water, less junk. Still can’t break the habit of kissing my kitty’s belly fur. Oh my, all that soft, fluffy, sweet smelling belly fur! Oooh I love their shower oil in Almond for my dry winter skin! Would love to try this 28 day program! my skin has been so dry and flaky no matter what I try. I’m having weird skin issues for the first time in my life, and this 28 day program looks like it would help tremendously! Thanks for the giveaway! I’m starting to get on the anti-aging train as I’m turning 30 this year. This would be a great kit to start a new regimen. Thanks for the giveaway Karen! Hmm, not cheap investment. I’m looking forward to see your final results. I have been using a couple products from L’occitane, but didn’t stick to anyone so far… The price tag is a little bit high for me. Do you think this set is good for younger skin like ~25? Loooove L’Occitane! I recently celebrated my birthday and splurged on some of that Almond Supple Skin Oil. Sooooo gooooood! This looks really interesting, I’d love to try it. This looks like a awesome product to renew the skin, since winter has hit here my skin needs this! This sounds pretty amazing! I was thinking it was just going to be 28 samples of the same thing but I like how each week is tailored to different skin issues. Very clever! Haven’t been to the L’Occitane store in ages. Need to make a trip. 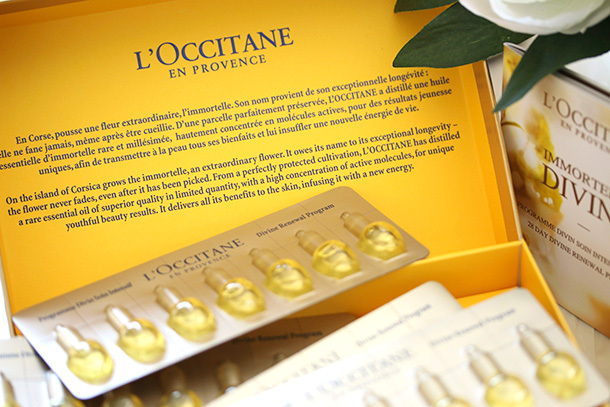 Never tried L’Occitane before – I have horrible dry scaly skin on my legs & NOTHING that I have tried has totally cured my dry legs… and believe me, I’ve tried A LOT. This would be great to try out on my legs – I’ve heard such great things asbout L’Occitane! Would love to try the 28 day treatment! I first discovered L’Occitane years ago when I received a hand cream set for Christmas. Their Shea butter has been a must this winter! I don’t even know my skin anymore, it’s a mess. One minute it’s super dry and gross, the next minute it’s oily and I’m breaking out. OR it’s a combo of both: Peeling, oily skin. It’s awesome! my skin is so dry because i live in boston and the dewpoints are way too low! I just discovered l’occitane products. I have only tried the lavender how’re gel but I do like the product. I have to say I love your complexion, Karen. I definitely would not mind having that same healthy glow. If it is from this product, I am totally up for it! I had no idea they had this! I love the Angelica Toner – makes my skin feel amaze-balls! Never tried L’Occitane before, fingers crossed! My skin is dry and red and needs divine renewal. Thanks for a chance to win. Meow. Great post! And congrats on 8 years! My skin is so parched thanks to winter. I would love to win this! Kitty Luna sends greetings to Tabs the Cat. My skin has been breaking out like crazy lately & I have no idea why. I haven’t changed anything in my diet or skincare lately so I’m hoping I can find something that will help calm it all down soon. I love your li’l pony, but have you seen the doc Bronies (on Netflix)? Ummm… Wow. They take loving ponies to the NEXT level. I am in love with L’Occitane products. I first got to use the serum as part of a test group for Hearst magazines and couldn’t wait to get it retail. I paired the moisturizer with it and my esthetician told me to keep doing what I was doing. What greater praise can the product get than that. I got my hands on a small sample of the Divine oil and it’s heavenly, but the price just went up. Boo hoo! My manager says the shea butter hand lotion is the only thing that keeps her hands from cracking and burning in the winter. Her daughter works near one of the boutiques. How wonderful would that be. Love L’Occitane and their amazing hand creams! great giveaway! i have always used their shea butter hand creams but would love to try the skincare! Ooooh, I love L’occitane’s Certified Pure Shea Butter as I’m a rabid shea butter fan. L’occitane happens to be one of the few brands to retail a 100% pure, unadulterated form of the good stuff! 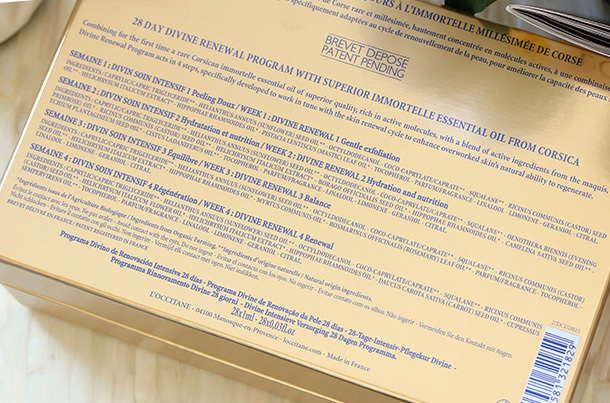 As for the Divine Skin Renewal program, I have used exfoliating masks and exfoliating scrubs..but exfoliating oils?!?! Whatever will the clever folks at L’occitane formulate next! I have been really enjoying your blogs! 2. My skin is on some crazy freak out, dehydrated, dry, AND blemished. I haven’t had real acne in years so I have no idea wtf is up with that. I know you said talk about anything but your suggestions were topical and comical, kind of like my new found acne. Absolutely love their almond oil! 28 days to skin renewal? I am IN! Thanks, Karen, for being a daily bright spot in my day. Red lipstick 4ever! I,too, love the L’Occitane Almond oil collection, the body lotion and the shower oil were a gift that I enjoyed from my S/O’s mother. Also, happy 8th year anniversary!! TGIF! Love their products, especially their hand cream. This sounds pretty intriguing to me. My skin has been mental lately, it goes from dry to oily in a second and I hate it! I love their hand creams – the rose fragrance smells so good! I love L’Occitane’s Almond Shower Oil and Supple Skin Oil. And maybe I’d love this facial oil?!! Sounds interesting but i don’t know if I’d want to get hooked on a $130/month program! My ex-husband introduced me to their 100% shea butter in the round tin. I still sue the shea butter but the husband is gone. The shea butter from L’Occtitane rocks my world. The ex never really did. I love L’Occitane products and I really like their Shea Butter Hand Cream. I LOVE L’Occitane’s fragrances, particularly their Verbena one. It’s like a little piece of heaven on earth. And their hand lotions. yum! My skin has been so dry lately, I’ve been looking for a little hydration help! Ooo, those look really interesting! Wow! This looks like a fantastic program. My skin has been going crazy lately so maybe this will help. that would greatly help this chicagoan’s winter skin. thanks for this great opportunity. It’s like a 4 week skin detox! My poor freaked out skin could use something like that. Thanks for hosting the giveaway! It is extremely dry due to extreme temperatures. My skin is having issues, and I can’t seem to get to the root of the problem. I usually have very clear skin, rare breakouts, no clogged pores, no bumps or uneven spots. Lately though, I am breaking out horribly on my cheeks, the tone is uneven and the skin is bumpy, and it is only on my cheeks under my cheekbones. I was using contouring products, bronzer on occasion, and blush, so I have stopped using all of the above, and am impatiently waiting for my skin to go back to normal. This sounds like exactly what I need to speed up the process! Oooh that program looks good! I love facial oils, right now I’m using Clarins Huile Lotus but I could use some extra exfoliation. It’s really tempting! My hands take most of the beating during the dry, cold weather. Trying L’Occitane hand creme and it’s so far, so good. I have little tubes of L’Occitane hand cream in every room of my house, 1 in my purse & 2 at work. I hate why my hands feel dry or have that tight feeling, especially after I wash dishes or wash my hands (which I do a million times a day because I’m a nurse & a mom). Plus after wearing latex gloves all day my hands feel so gross & I need to smother them in creams & lotions. But my favorite eye cream of all time (which actually works) is from L’Occitane. I don’t remember what it’s called off hand (it’s in my bathroom & I’m way too lazy to get up right now) but it’s in a little dark blue jar & it’s a miracle worker. In reference to my skin, well, it’s been very naughty lately. It’s very dull & lackluster. Suddenly it’s combination when it’s been normal for the last 39 years & it just feels rough. Ick! I exfoliate a few times a week. I’ve tried countless masks, peels, serums, moistuizers, face washes, etc. I’ve tried all the things. No improvement. Nada. Actually there’ll be a slight improvement for a short time & I’ll think I’ve found the golden ticket, the magical combination of products that gets my skin back on point but the good skin days don’t last long & I think I need something stronger than what I’m doing without doing anything too invasive. 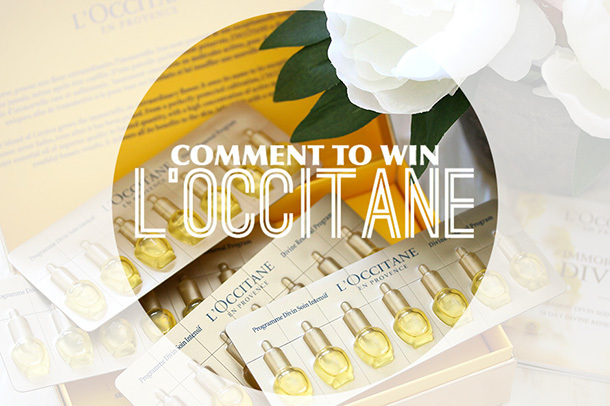 Preferably something from L’Occitane that I win in a contest (just sayin). I hope this reply pleases the Great Tabby Overlord & I’m chosen to win this most magical of prizes :)! I tried a new scrub and I think my skin didn’t like the ingredients at all because just after one use my skin if really dry! Now I have to moisturize it constantly. Karen, thank you for the chance to win L’Occitane. Love me some French skin care! 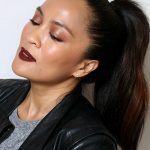 And a huge thank you for this blog-it’s the place to come to for the latest in beauty, glamour, and a much needed laugh. 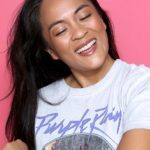 Your blog makes me smile-MakeupandBeatyBlog forever! I am 33 weeks pregnant and those oils look divine!! I have enjoyed watching the adventures you have had over the years. It has been fun to see the photos of your beautiful cat too. You’ve come a Long Way! Congrats! I have been traveling a lot and my skin would really appreciate this! Fingers crossed! My skin is so dry and thirsty. I need all the help I can get. I’m sad that L’Occitane recently changed the packaging/name/formulation of my favorite scent, Roses et Reines (Roses 4 Reines). Boo. After somehow discovering the sorceress known as Caroline Hirons, I have been really into skincare and taking care of my occasionally problematic skin. On the bright side, I’m now actually committed to doing crazy things like washing my face every night. On the down side, I want all the cleansing balms and face oils I see. I really love L’occitane’s almond line! They smell amazing! I’d love to enter to win this set. It’s snowing right now in CT and temps range from zero to 15 . . . moisturize and shovel and clean boots is about all we get to do. Every single day! I so much enjoy your blog and the updates on Tabs too. Since I have very oily skin I do not know if I should use this but my Mother or oldest daughter would love too if not me. 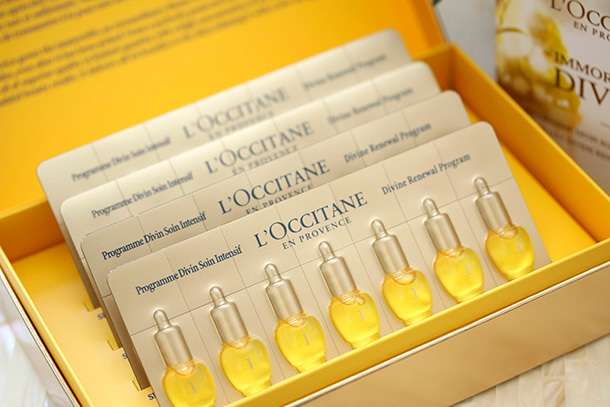 I have heard great things about L’Occitane products but I have not tried any yet. I hope to remedy that soon. Thanks so much. I live in the arctic tundra (aka the midwest) so this would be great to try! I love their Divine Youth Oil! Your bare skin is SO beautiful Karen! Absolutely glowing! I’ve been working on bettering my skin rather than just covering it but this weird weather we’ve been having has me oily and dry and flaky all at once, ugh. I’ve tried creams and soaps from L’Occitane. This would be awesome! It is so cold and dry here even with the humidifier running! My skin is having hydration issues as well, and I LOVE love L’Occitane. 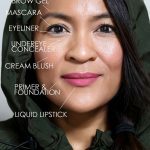 This regimen sounds amazing! This sounds like just the spoiling I need during this difficult time in my life. You see, I was just diagnosed with thyroid cancer. Congrats on eight years of MaBB! I look forward to eight more years. I bought some of these products years ago, a hand lotion a balm of some sort and some samples, via QVC the lotion was very soft & silky. As far as my skin right now, it’s so dry, my face that is… I’ve never had dry skin; but now it kinda feels like sand paper, I’m not sure why? Congrats on your 8 year anniversary! So exciting! I’m happy to be one of your followers. I am obscessed with L’occitane’s hand cream – the best I have ever used! I love their hand lotions!! Ugh my skin’s gone haywire recently. Wrinkles, dry patches, and oil only at 23! I need this! My skin has been ‘irregular’ this winter – sporadic breakouts alternating with dry skin. Ugh!!! Ooh this sounds like such a cool giveaway! My skin needs some hydration and a pick me up! My skin has gotten drier and this would really help. 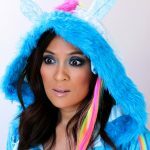 Hi Karen… Great giveaway! My skin is so dry lately and could use something to brighten it. The only L’Occitane product I’ve used are hand creams, this looks great! I moved to Boston just in time for this AWESOME WINTER YO, and my skin looks it. SEND HELP. And cookies. And a snow blower, preferably with a hot dude to operate it. My favorite L’Occitane product is their hand creme! It is so luxe and hydrating, and the scents are fantastic. 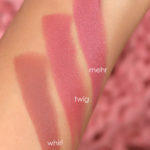 I am using the Vanilla Bouquet one right now, and I am in heaven every time I reapply! Would love to win this! I’m trying to find a new skin care regime, and I think this would be a great place to start. My son gifted me a set of Loccitane hand creams, I adore them and theyve really helped my hands feel comfortable this winter. I also use to have a lovely shea lip protector in mango that I was so great, widh they still had it. Ooh, fingers crossed! I’ve been considering whipping up my own facial oil cocktail to boost my beloved Guerlain oil. Fun fact I recently learned (I had to see it to really believe it)- hydration can help reduce breakouts! What I mean is that you can totally reduce a breakout with extra hydration. At least, it worked in my case. So now I’m researching more facial oils. I certainly would like to be part of this giveaways entry – the packaging is cute! Not sure if I would agree to purchase at a full price, unless it is truly a magical product! I’d love to win this. It looks fascinating! I love L’Occitane!!!! Wishing you a beautiful day filled with finding joy and unexpected blessings around very corner! I love the karité hand creme. And the new karité cleansing oil. I love the whole concept of this 28 day renewal program! My resolution is to keep up with the way of life I adopted. Let me explain: See last month marked my goal of 40lbs lost!! I changed my life entirely by stopping eating certain foods, as well as giving up soda…wahhhh!! I walk 2 miles every morning and do 30mins of cardio every evening. Now there are plenty of great side effect to weight loss. 1- The wonderful self confidence I got from completing such a monumental goal. I have been carrying that baby weight for years! Back down to 155 yipee!! The one bad side effect is that none of my clothed fit me any more!! Wahhh!! I’m happy about the shopping of course, but my wallet is not!! I want to get to 140 lbs and be tone and healthy, and keeping this new lifestyle permanently will help me to do so. I’ll be crossing my fingers!! Congratulations, Dana! Sounds like a great problem to have. When I get to that 40 lbs gone, I’ve promised myself to get into thrift and consignment shopping to lighten the load on my wallet. Yeah I’ve been shopping on websites like Poshmark and Tradsey, I love to do some consignment shopping myself!! My favorite L’Occitane product is the Shea Butter Foot Cream. I’ve used it for years! I’m new to the Loccitane line of products, but so far, I love the brightening hand cream, and the entire Divine line of skin care. After just a few weeks I can really see an improvement in my almost 50 year old skin. I love reading reviews on makeup, and skin care products. Glad I found your blog. Started following you on twitter. My skin has been crazier than ever this winter. I guess it’s the post-30 changeup? I have super dry patches on my cheeks but still can get the occasional pimple in my t-zone. I recently invested in Kiehl’s midnight recovery serum, so far that’s helped but not quite enough. I already love L’Occitane for my main moisturizer and I would absolutely love to try this set!! this is so cool! thanks Karen! I know that I could probably not afford this product but I would sure love to win so I can give it a try. Thank you for the generous giveaway. 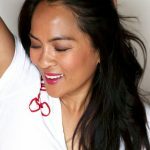 I’m using the RMS facial oil – really loving it during this winter! I didn’t realize oils could be used for other than hydration. This seems like a very cool product! Thanks for the chance! My skin is cranky about winter and the accompanying dryness, so I would LOVE to win this treatment!!! This is just a great concept! I like the whole sciency side behind it, with your skin cells completely renewing every 28 days. it’s like a month to a new face! 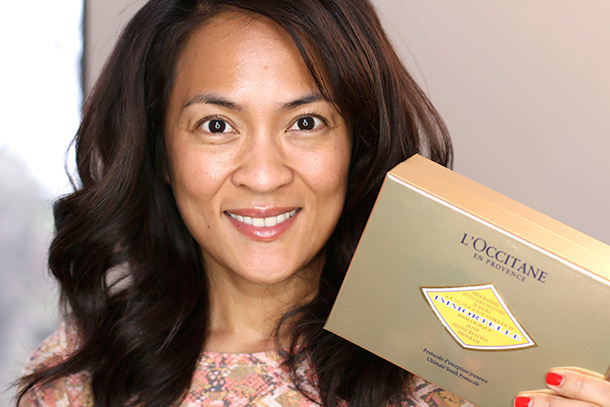 I am a huge fan of loccitane divine line and have seen significant results using the cream, but it is just too pricey to repurchase at the moment. I would love to try out this set, THANKS! I would love to try this, I should have took care of my skin earlier now I’m paying the price for not doing it sooner.